Nikon Industrial Metrology offers manufacturers a new vision for efficient, productive and intelligent manufacturing. The goal is to enable manufacturers to produce better products at a lower cost, speed up the response to changes in demand, and shorten time to market, everything together resulting in greater competitiveness. 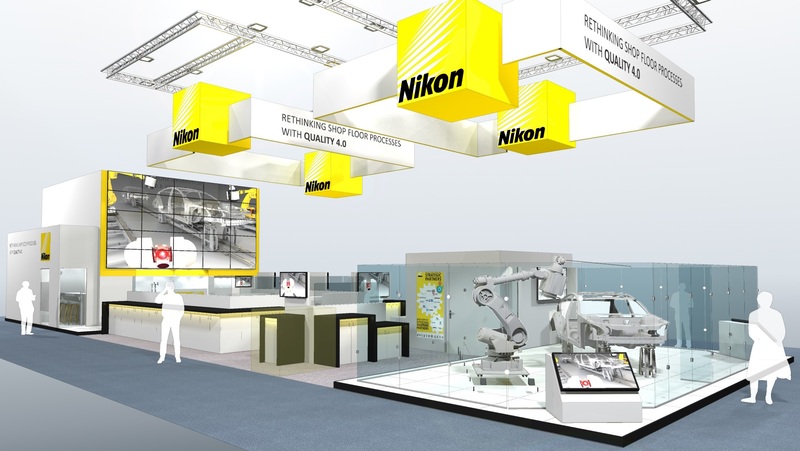 At Control 2019, Nikon Metrology presents its portfolio of digital, automated and connected shop floor solutions to meet the new and varied demands of Industry 4.0. By rethinking shop floor processes, Nikon Metrology introduces a radical new approach to production, where quality control becomes more than a test but a way to manage processes. Automated measurement solutions enable manufacturers to tightly control their production processes with digital results and connected real-time feedback, enabling intelligent manufacturing. In this way, the quality function drives the manufacturing process to guarantee the best possible products. At Control 2019 Nikon Metrology presents its full portfolio of shop floor solutions including the Laser Radar and Large Envelope CT systems. Visit booth 7211 to experience interactive demonstrations from experts, and discover the ultimate quality solutions for intelligent manufacturing. Laser Radar provides accurate absolute inline measurements and faster feedback of quality information. The better and more regular the measured data is provided, the more tightly a production line can be controlled. This is especially true in car plants, where the increase in quality and repeatability is effective in production, prototyping and ramp-up phases, ultimately leading to a much shorter time-to-market for a new vehicle. Find out more about Laser Radar. An important challenge to manufacturers is to increase product quality, which can be achieved through frequent and timely inspection. Recent advances in high-flux, high-resolution X-ray sources, coupled with automated CT inspection and robot-based loading systems enable fast inspection of samples, with micron accuracy and low cycle times. This opens the gate to a broad span of automated defect and dimensional accuracy inspection applications, from batch inspection to 100% inspection. Find out more about X-ray and CT.